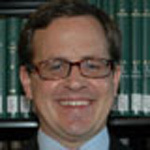 Robert C. Neville is Professor of Philosophy, Religion, and Theology at Boston University. We invited him to answer the question “What does philosophy of religion offer to the modern university?” as part of our “Philosophers of Religion on Philosophy of Religion” series. Of the many things that philosophy of religion offers the modern university, the most important, in my view, is disciplined inquiry into ultimate realities and what is involved in understanding and relating to them. Thus, philosophy of religion is primarily a research project and then secondarily teaching that introduces students into that research. That emphasis might be flipped for philosophy of religion in non-university colleges. The most controversial point in my view of the matter is the bald assertion that there are ultimate realities that need to be studied. In Western universities, this would not have been controversial before the 20th century, but now it needs to be explicitly affirmed. There are at least five ultimate realities around which religions have developed problematics and that need philosophical discussion and understanding. The first is whatever answers the question of why or how there is something rather than nothing. The world in all long-standing religious traditions as well as most scientific traditions is felt as radically contingent. Philosophy of religion is needed to understand that contingency and understand also how various religious traditions have given such diverse interpretations of it. The second ultimate comes from the boundary condition for human life that sets it up that people have to choose among future possibilities that have different value. What value is in future alternatives, how to tell what is valuable, how to make choices well, what to do with wrong choices, how choices are both individual and conjoint—these are all aspects of the general problematic of what might be called righteousness and every religious tradition addresses this problematic. Philosophy of religion is needed to understand this and how religions have dealt with it. The third ultimate is that human beings have to integrate complex lives, aiming at wholeness. Suffering, finding a location, relating to one’s body, family, social circumstances and a host of other things add up to an ultimate condition of questing for wholeness. Religions have many ways of defining this problematic of wholeness. Philosophy of religion is needed to understand how those ways relate to wholeness or the ideal self. The fourth ultimate is that an ultimate condition for human life is relating to others—other people, social institutions, and nature—as they are in themselves and not only insofar as they enter into the lifecourse of one’s group or one’s self. Axial Age religions share some version of the Golden Rule, but that is not the only way of relating to Otherness. Philosophy of religion is needed to understand this. The fifth ultimate is the boundary condition of life having a meaning, or not. Sometimes this is understood in terms of the value one’s life achieves, or one’s group. Although this way of putting it reflects 20th century existentialism and its discovery that life is not meaningful in ways determined by external authority, every religion has some way of dealing with this problematic. Notice that I’ve argued that religions have developed their problematic in relation to realities that are ultimate boundary conditions for life irrespective of what religions do about them. The world is contingent as such, choices between alternative of different value have to be made, life is a puzzle to integrate, others have a nature and value over and above the roles they play for us, the facticity of life either has or has not a meaning. Just as climate is real, and diverse over the globe, so these boundary conditions for human life are real for wherever there is human life. All the ways in which religions develop problematics regarding the ultimate realities are historically constructed. But the ultimate realities to which they respond are real and the diverse constructed religious responses can be understood and compared as ways of responding to them. Philosophy of religion is needed to understand all this. My view thus rejects the claim of many philosophers, especially postmodern ones, that there is no reference to religious claims and attitudes and that all religious realities are mere human constructions. That constructionist approach easily leads to claims that each religion is nothing more than a cultural tradition. Moreover it leads to doubting that religion is a universal category at all. But my view interprets religion as the human engagement of those ultimate realities in cognitive, existentially defining, and practical ways. Religion is basic, religions are various historically conditioned ways of being religious. Isn’t it obvious that the modern university needs some discipline for inquiry into the ultimate realities and how human beings can cope with them? The university would be seriously amiss if it neglected this vitally important topic. This is especially true nowadays when globalization has made it abundantly clear that there are many different religious ways of addressing how to engage ultimate realities, and that these can be seriously competitive. Look at the issues of religiously motivated violence! This is not just a matter of conflicting cultures or competing interests: it is a matter of different ways of dealing with what is ultimately important and demanding of ultimate concern. Moreover, the rise of modern science is creating ways of understanding the world that undermines many of the traditional senses of authority that have organized religions. Although many religions can reassert those authorities in confessional ways, to understand how to evaluate that requires looking at the ways those religions alternatively address what is ultimately real. Wisdom in the modern university for understanding and addressing ultimate realities can come from a single tradition, philosophically interpreted. It’s better to have as many traditions studied as possible. But philosophy of religion is not just the self-understanding or philosophical hermeneutics of any or all religious traditions. It is the examination of how the ultimate realities are best addressed in our day, and how the various religions are different ways of doing that, for better or worse. Joseph Trabbic is Associate Professor of Philosophy at Ave Maria University. His research and publications are in medieval philosophy, continental philosophy, philosophy of religion, and metaphysics. We invited him to answer the question “What does philosophy of religion offer to the modern university?” as part of our “Philosophers of Religion on Philosophy of Religion” series. Let me begin with something of a detour. Before I answer this really great question, I should tell you about my general views on education, what you could call my “hermeneutic situation” vis-à-vis education. My views on education – like my views on just about everything else – are broadly those of the Aristotelian-Thomistic tradition, or what I take that tradition to be. So, I accept the distinction between artes serviles and artes liberales, and I think that the latter should be at the heart of any university education. I don’t deny that professional or technical training – the servile arts – have a place in universities. No culture can survive unless the material conditions for human well-being are provided for and no culture can flourish unless they are well provided for. The latter would require a higher level of professional or technical training and a university might be the appropriate place for that. Because the servile arts provide for the material well-being of a culture, they also, to some extent, make liberal arts education possible. What I mean is this: if you are just struggling to survive, you won’t have time for serious intellectual pursuits. For that you need an ample amount of leisure. Aristotle’s famous statement in the Metaphysics about the development of mathematics in Egypt is relevant here. Aristotle tells us that it was only after the servile arts were developed that people first began to have leisure, and so, he adds, “this is why the mathematical arts were developed in Egypt, for there the priestly caste was allowed to be at leisure.” Aristotle appears to be speaking historically, but, of course, there is also a philosophical reflection going on here about material and formal causes (and about moving and final causes as well in the surrounding text). Let me pass now to the liberal arts. The canonical list of seven liberal arts that has come down to us from Martianus Capella and others came to be divided up in the Middle Ages between the verbal arts of the trivium – grammar, rhetoric, and dialectic – and the mathematical arts of the quadrivium – arithmetic, geometry, astronomy, and music. The liberal arts were, thus, understood as “paths”: a trivium is the intersection of three paths and a quadrivium is the intersection of four paths. What is the point on which these paths converge? In the Didascalicon, his treatise on the liberal arts, Hugh of St. Victor contends that they are paths “to the mind’s complete knowledge of philosophical truth” – ad plenam philosophicae veritatis notitiam. There is not enough space here for me to discuss the precise way that the liberal arts’ function as paths to philosophy, so let’s just stipulate that they do (but for a pretty good account of the liberal arts propaedeutic relation to philosophy I would recommend Benedict Ashley and Pierre Conway’s excellent article “The Liberal Arts in St. Thomas Aquinas,” The Thomist 22 (1959), 460-532). How does Hugh understand philosophy? It is simply the pursuit of wisdom, as the name suggests. And, for Hugh, this ultimately means seeking God as the principle from which everything else flows. Aquinas agrees with Hugh (who he cites) on the telos of the liberal arts; they prepare us for philosophy, but more specifically for metaphysics, the discipline of philosophy that studies the first principles of things and the first principle, i.e., God. Aquinas says that, metaphysics is, in this sense, a theology or divine science (scientia divina). Because God is the first principle of things, knowledge of him qua first principle is, to Aquinas’s mind, wisdom par excellence since wisdom is (on an Aristotelian understanding) knowledge of the first principle or principles. So, you could say that Aquinas takes the liberal arts to have, in the end, a sapiential or theological purpose (both coming out to the same thing). Aquinas’s vision is (if I might play on a title of Catherine Pickstock) of a sapiential or theological “consummation” of the liberal arts. This isn’t our contemporary understanding of the liberal arts; it’s not, for example, the way that Martha Nussbaum thinks of them. It’s pretty mediaeval. The salient question, however, is whether it’s the right way to think about the liberal arts. Obviously, I believe it is. Defending it would require a general defense of the Aristotelian-Thomistic tradition, which is not something that can even be begun to be done in the present forum. The reason why Aristotle and Aquinas take the liberal arts (Aristotle implicitly, Aquinas explicitly) to be preparatory for philosophy (as divine science), is that they hold human happiness to be a life organized in view of contemplation of the divine as the highest good/truth. All our undertakings, then, from the servile arts to the liberal arts have contemplation of the divine as their ultimate purpose. This contemplation, they suppose, is most perfectly realized – as far as our natural powers are concerned – in metaphysics. This doesn’t mean that only metaphysicians can be happy. Contemplation of the divine admits of various levels from highest to lowest. And, for Aquinas, there is much more to the story than I have the space to tell here since Christian revelation adds a whole new dimension to our consideration of contemplation and happiness. But, let’s not forget that, on the Thomistic view – well summarized by Cajetan – grace doesn’t replace or destroy nature but presupposes and perfects it (gratia praesupponit et perficit naturam). Everything that I have said so far would continue to hold, then; it would simply have to be recontextualized when we take revelation into account. 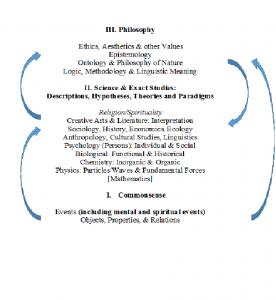 I can now come back to the question I have been asked to respond to: “What does philosophy of religion offer to the modern university?” I explained my understanding of philosophy of religion in an earlier post here at PhilosophyOfReligion.org. What I’m going to say now will assume some of what I said there. Philosophy of religion, as I do it, ranges over what Aristotle and Aquinas take to be distinct disciplines within philosophy, i.e., philosophy of nature, moral philosophy, and metaphysics. The unity of my version of philosophy of religion is constituted by its formal object, i.e., God. Everything is thought in its relation to the divine. The modern university, as we know it in Western culture, seems more often than not to be driven by practical rather than contemplative purposes. Its dominant orientations are technological, medical, political, social, and professional. In this respect, I would say that in the modern university we are still subjects of the Cartesian empire. Put differently: the modern university is truly modern. Remember that an essential part of Descartes’s project is the overthrow of Aristotelianism (and with it, Thomism); this is among the founding gestures of modernity as I (and many others) interpret it. What this overthrow means for education Descartes spells out, albeit briefly, in the Discourse on Method. There he dreams of “speculative philosophy” (philosophie spéculative) being replaced by a “practical one” (une practique) in the “schools” (écoles). Descartes seems to be thinking, above all, of progress in technology and medicine, but that is an inconsequential detail; the practical turn – and, by it, the overthrow of the hegemony of the Aristotelian-Thomistic tradition – is taken. Bruno Latour tells us that “we have never been modern.” Setting my sights on a different target, I would say that we have never been postmodern, not, that is, so long as we continue to carry out the Cartesian project as I have just described it. To be sure, I am radically simplifying a complex history, but I can’t indulge in a more fine-grained analysis here. What philosophy of religion can offer the modern university is help in thinking rightly about God, human beings, and human happiness (as located in God). If this is done along Aristotelian-Thomistic lines – as I would argue it should be – then this kind of philosophy of religion will at the same time necessarily become a point of subversion and resistance in the modern university insofar as the latter is still in thrall to the Cartesian project. Renee Kohler-Ryan is Senior Lecturer in Philosophy at the University of Notre Dame, Australia. We invited her to answer the question “What does philosophy of religion offer to the modern university?” as part of our “Philosophers of Religion on Philosophy of Religion” series. The Augustinian idea that one understands in order to believe, and believes so as to understand, remains central to Philosophy of Religion. I speak here particularly within the context of a Catholic university. This approach seems to have its genesis in early Christianity. For, as John Paul II points out in his encyclical, Fides et Ratio, the early Fathers of the Church brought “to light the link between reason and revelation.” The philosophical methods these thinkers used had been developed in the ancient world and now became vital tools: “Superstitions were recognized for what they were and religion was, at least in part, purified by rational analysis.” Arguably, this is where the practise of Philosophy of Religion began. True religion was investigated as reasonable, and belief was taken seriously. In this community of believers, philosophy of religion made perfect sense. It is somewhat tempting to think that contemporary society, including the modern university, has no need for such study any longer. After all, in a pluralistic society, all personal beliefs are valid, and there is no objective standard to test their validity. Priding oneself on secularised tolerance rules out taking seriously arguments from religious belief. The philosopher’s work seems to lie elsewhere. This though, would be not only a naïve position. In at least two senses, which I will now discuss, it would also be unjust. Firstly, to consider religious belief beneath the dignity of philosophical investigation does an injustice to the believer. Religion is a human phenomenon, capturing the human person’s quest to find ultimate meaning and taking him toward at least a glimpse of the possibility of transcendence. Religion also coincides with giving proper meaning to the moral life. Augustine thought of religion as a lived relationship whereby the person freely accepts that he is created, and thereby enters into a re-creation of the self. This is self-awareness at its finest point. At the same time, religion for Augustine involves an appreciation of creation and of human society. The one who seeks transcendence does not flee from the world, but instead adopts a healthy appreciation of earthly limitations, and acts well within them. The more rigorously that same person investigates his beliefs, the more robust will be his analysis of the strengths as well as the shortcomings of himself and of the society around him. Thus, Augustine holds that true religion is a deeply personal quest for truth, and there is a moral imperative to undertake that investigation. The Confessions are a testament to his appreciation that sincerely held beliefs, in particular those that pertain to God’s existence and nature, mould attitudes and actions. Thinking about God was never only an intellectual pursuit; exploration of God informed everything that Augustine did and felt. Crucially, what he thought and at the same time believed about God needed to be true. Augustine is in a certain sense a model for the philosopher of religion, because of the seriousness with which he took philosophically sound belief in God. To think about God as one’s origin is to develop a finer sense of self. It follows that the better our questions and thoughts about God, the greater our capacity for self-understanding. If the university truly is the ideal place for authentic questions about being human, then this is where philosophy of religion finds its proper home. The philosopher of religion performs an act of justice to the believer, by finding the beliefs worthy of study. Ideally, such an attitude would then affect the modern world, supporting religious belief as a worthy and authentic aspect of being human. Secondly, to investigate religion is to try to understand justice in one of its most fundamental senses. Even in the ancient world, religious practise gives to God what is due to him. If the believer thinks of God as the ultimate perfect and good cause of everything, then we owe everything that we are to Him. An act of worship is at the same time virtuous. Again according to Augustine, on these terms it is only just to love and to worship God. What can the philosopher make of this? How can the philosopher of religion investigate human adoration for what is divine? These questions are particularly pressing for the philosopher of religion in the modern university, because that institution is increasingly inspired by a scientific world-view and methodology that does not have the tools to think through religious belief. One need only consider the way that modern universities increasingly rationalize cuts to funding in the humanities – including philosophy – to know that this is the case. The philosopher of religion is called upon to perform an impossible task. Religious belief cannot be tried and tested according to scientific method, and so the philosopher is told that it cannot in fact be true. Faced with a similar problem in early modern intellectual society, Blaise Pascal postulated that this is simply a category mistake. Without abandoning Augustine’s appreciation that understanding and belief constantly seek each other out, he established a proper investigative mode for each. From deep within the modern project of scientific investigation, Pascal postulated that one can think with l’esprit de finesse as well as l’esprit de géométrie. That is, there are two ways of looking at philosophical questions. In the spirit of geometry, Pascal designs a calculating machine, or works out a theory of probability. Here he works with mathematically clear and accurate demonstration. When the same thinker turns to considerations of God though, finesse is called for, which pertains to the workings of the heart, where love and belief coincide. “The heart has its reasons, of which reason knows nothing”, declares Pascal: the human heart cannot be scrutinized with the same tools we use for mathematics and the physical world. William Desmond observes in The Intimate Strangeness of Being: Metaphysics After Dialectic, that while Pascal’s l’esprit de finesse “is required when we deal with the human being, in the deep ambiguity of its being… beyond all our knowing had not God already mysteriously made himself known to us.” (191) At heart, the human being is not a mathematical problem to be solved; nor is God. Philosophy of Religion is justly present in the modern university when it takes religious belief seriously; but also when it finds the right ways to investigate and express what religious belief means. Respecting belief is the first step to enabling such exploration. Only then can the philosopher work with thoughtful finesse. 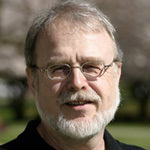 Philip H. Wiebe is Professor of Philosophy at Trinity Western University, Canada. We invited him to answer the question “What does philosophy of religion offer to the modern university?” as part of our “Philosophers of Religion on Philosophy of Religion” series. If the sciences are viewed are emerging out of the commonsense conceptual framework, philosophy takes its place as critical commentary on these two domains in an attempt to understand their implications for methodology, ontology, epistemology, meaning, and values. The following diagram pictorially presents the three domains, and includes the familiar hierarchy expected by many physicalists to reflect current or eventual scientific discoveries, viz., Chemistry’s dependence on Physics, Biology’s on Chemistry, etc. (reading Section II from the bottom up). The arrows indicate direction of influence, e.g., philosophy influences science and vice versa, but philosophy has little effect on commonsense. We could put meta-philosophy on the top of the figure as a fourth domain, and also try to include all the subdomains that have evolved as ‘Philosophy of X’, including Philosophy of Religion, but this makes discussion here needless complex. The traditional areas are all profoundly normative (besides being descriptive), which is still beyond satisfactory explanation, I think. 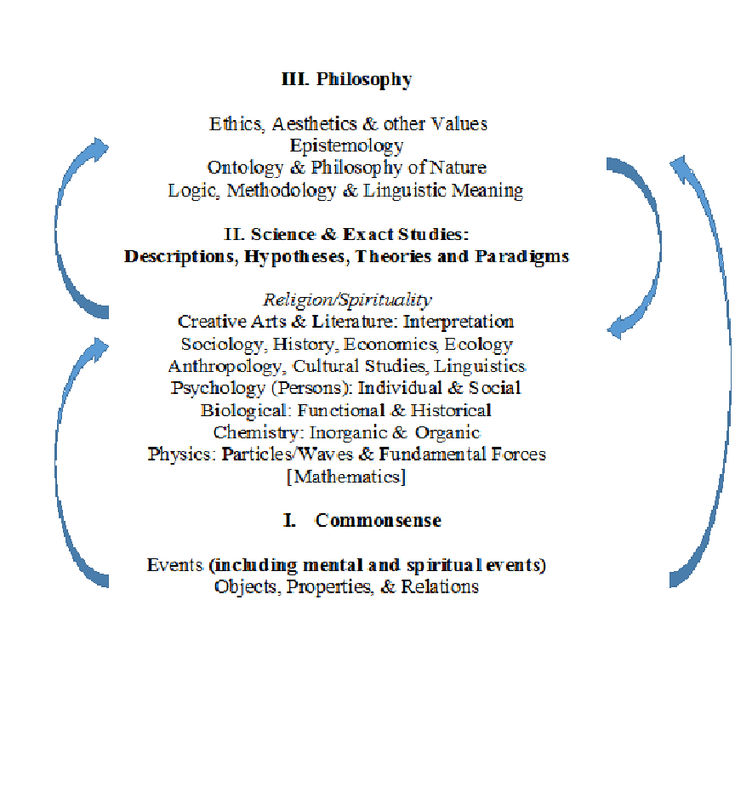 I have placed ‘Religion/Spirituality’ in the hierarchy of social sciences, which is perhaps a controversial move. This field depends upon the concept of person, which is central to all the social sciences, and so exhibits important ties to anthropology, history, sociology, economics, etc. I accord every level in Section II provisional ontological authority, without insisting upon reduction to Physics, unlike Physicalism. Whether reduction is achievable is presently unclear. We would hamper the work of the natural and social sciences if we were to insist on this reduction, so bowing to physicalism’s vision for the future is premature. Meanwhile, if we can get a reduction, why not take it? Here we touch on a delicate matter concerning religion. Religion has been plausibly described as a descriptive & explanatory domain focused on spirit, which is alleged to be non-physical. I place Religion on the diagram since spirits are construed, at the very least, as beings with minds. Atheism maintains that no minds (in the spiritual sense) exist besides those found in humans (and perhaps some animals). The conflict between atheism and religion is now obvious – it is fundamentally a disagreement at the level of Ontology. Philosophy of Religion exists to engage this question, among others. Physicalism cannot announce its triumph until it has successfully argued that spirit is neither needed nor plausible. Mental events are instructive in thinking about Philosophy of Religion. As discussion over Philosophy of Mind unfolded in the last century, various strategies were proposed for understanding ‘mental terms’ and the states they were supposed to denote, which include the phenomena described in religious and spiritual experiences (RSEs) as a proper subset. Psychological behaviorists who followed B F Skinner construed such terms as having no place at all in scientific descriptions and explanations of human behaviors, so such mental terms as ‘hoping’, ‘expecting’, and ‘feeling’ were not needed in recording observations. Philosophical behaviorists who followed Rudolf Carnap and Gilbert Ryle interpreted mental terms as denoting human behaviors or (physical) dispositions to act. Still others construed mental terms as having no denotations at all, much as claims about phlogiston have none, since phlogiston does not exist. The eliminativism of Richard Rorty, Paul Feyerabend, and Patricia Churchland gradually gave way to functionalist accounts or to identity theories in which ‘mental talk’ was seen as denoting states or processes that are thoroughly physical in character, to be described, eventually, in neural terms by language that is indisputably public. The identities between mental and neural states are already thought to be corroborated by neural activity detected by MRIs and other novel technology. The non-Abrahamic religions have already left their mark on Western culture, and the forms of spirituality that they open up seem more popular than those that Western culture has recognized and celebrated. The general field of spirituality brings into focus several related fields of inquiry requiring critical, but sympathetic, attention. 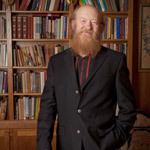 The scope and range of RSEs is yet to be determined, although Sir Alister Hardy made a good start, with his Religious Experience Research initiative now operating out of the Lampeter campus of the University of Wales. Cognitive science is a new domain of research that purports to be comprehensive in its scope and purview – no mental state, however ordinary or spiritual, will escape its attention, as it tests, in effect, the comprehensive ambitions of physicalism. The comprehensive ambitions of cognitive science means that religious and spiritual experiences (RSEs) will eventually be assessed. Philosophy of Religion or Spirituality still has a vital place in the modern university, at least until atheism or physicalism triumph.